In Rila Mountain is located the highest peak not only in Bulgaria, but also in the Balkans. With its 2925.4 meters, Musala peak ranks seventh by height among the European champions. Even if you are not passionate mountaineers and so far you haven’t climbed any mountain peak, conquering Musala peak will bring you great pleasure. 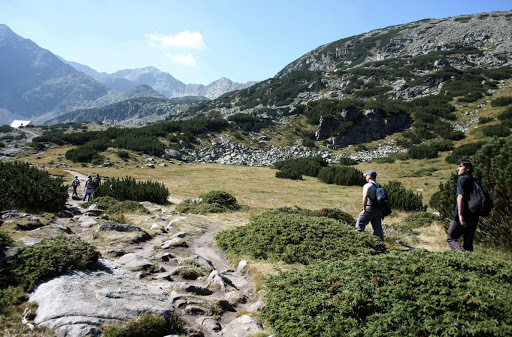 Although it is the highest peak in our country, its climbing is not as hard as Cherni vruh or Vihren peak and it is a good walk for the whole family. The closest point from which you can start your journey to the roof of the world is Borovets resort. If you get there, you have several route options, but if you are not really „familiar” with the mountain, the best option is to choose the easiest and quickest route (you are saving about 4 hours of walking), which starts with a lift trip to Yastrebets hut. You should get on the lift from Borovets and after about 30 minutes of pleasant trip you will reach Yastrebets hut. Here you have to take a last look at your backpack, make sure you haven’t forgotten to put a jacket, a bottle of water and a few sandwiches for the trip. If everything is ready, just stand up, inhale the fresh mountain air and the climbing to Musala peak can begin… now! From Yastrebets hut you have to reach Musala hut, but don‘t worry about going in the wrong direction or path. There is no such danger, because the track is very well marked, and this is the most popular route for climbing to the peak, as in the summer it looks more like a highway than a track. During the climbing you will be surrounded by people and all of them will have the same goal as you – to climb the highest peak in the country. The track leading to Musala hut is ramp and easy to walk, and if you don’t stop very often to enjoy the beautiful sights, you will reach the hut for at most an hour. When you reach Musala hut (2430 meters above sea level) is good to have a break and gain more energy, because the serious part of the climbing to the top is ahead. From here up to the „top of the world” you will have about 3, maximum 4 hours of climbing, so after a short break its time to get back to the goal. The track to Musala peak starts from the lake, which is located next to the hut. Again, there is no option of going in wrong direction, because of the reasons that we have already mentioned above. Unlike the first part of the climbing, however, here you will sweat more because the steep sections begin, and they require more muscle power of the legs. After an hour of climbing on the steep track you will reach the „Alekovoto Lake”. „Alekovo Lake” is the third of the seven Musala lakes. It is located at 1160 meters above the sea level and it is named after the closest peak located next to it – Aleko. After a short break to enjoy the views and take some photos at the lake with a group of friends (otherwise how your friends will know that you are going to conquer Musala peak), the climbing continues. This section is also very steep, but it’s not overwhelming, so even a little slower and with more breaks, in about an hour, you will get to the last place you can relax at before going to the top. The shelter „Ledenoto Lake” is located at the foot of the top and it is the perfect place to relax, eat, take some air and gather strength for the final goal. 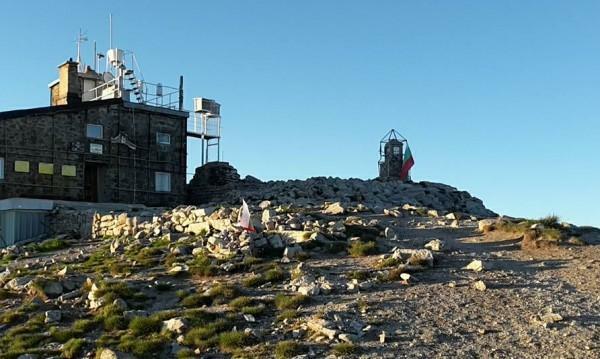 The shelter is located near the highest Bulgarian lake – „Ledenoto Lake” (2709 meters above the sea level). When you reach the shelter, you have two options, which you can choose to reach to the peak – winter and summer route. The winter route goes through quite steep sections and is therefore secured with ropes that you need to use. Honestly, if you are not experienced mountaineers and you are with little children, the best and safer option is to stick to the larger group of tourists and choose the summer route. Musala peak is already visible and your adrenaline goes up. The track of the summer route is also steep, but not as dangerous as the track of the winter route, and after about 30 minutes of climbing you will be proud of yourself, because you have succeeded to step on the top of the world. Having reached your ultimate goal, you can finally look around calmly, soothe your breathing and enjoy the incredible views that appear before your eyes. And yes, if you have heard that on a clear day from the peak you can see the Aegean Sea… don’t waste your time looking for the direction from which you can see it. This is just a legend, because it is practically impossible to see the sea because of the spherical shape of the Earth. You can’t see the Aegean Sea, but you can see the Meteorological Station at the National Institute of Meteorology and Hydrology and Scientific laboratory, located at Musala peak, you also can make some photos from the top. To go back follow the same route. Take the marked track to Musala hut and then to Yastrebets hut, and finally take the lift to Borovets. If you are not too tired, you can take a walk from Yastrebets hut to Borovets, but this will take 4 more hours in the mountain. The summer route to Musala peak from Yastrebets hut will take you between 3 and 4 hours in one direction. Of course, you can reach the peak following many other routes, but all they require better preparation and more time. Musala is higher than its Greek brother peak Mitikas (on Olympus) with 8 meters, and also is higher that its Bulgarian „relative” Vihren peak with 11 meters. The name of the Balkan champion has remained since the time of the Ottoman rule and has several interpretations. According one part of the experts „Musala” means „a way to God/Allah” or a „prayer peak”, as for the other part of experts, the name of the peak means „ruling”. From 1950 to 1960 the peak was called Stalin, in the name of Joseph Vissarionovich Stalin. According to some historians, the Musala’s most ancient name was Tangra, but there is no solid evidence for that. The snow cover of the „roof of the world” is present averagely 245 day a year. If you decide to reach the peak from Yastrebets hut and to use a lift, it leaves from Borovets resort. You will find it most easily by reaching the end of the resort’s pedestrian area. The lift works all year round, as its summer working time is from 8.30 to 18.30 p.m., and the winter working time is from 8.00 to 16.00 p.m. The lift is cabin, type Gondola, and four passengers can travel in one cabin. Musala is about 80 km away from Sofia city and about 24 km away from the town of Bansko. If you are staying in the Lucky Bansko Hotel, you can reach Borovets by car or ask at the reception for organized transport. 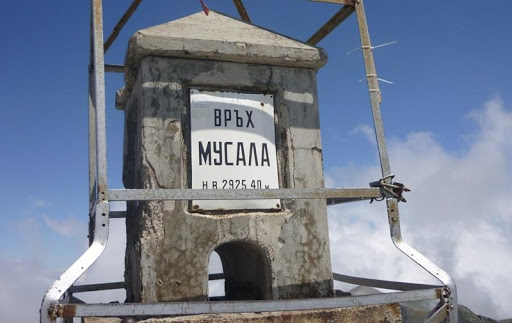 If you have a tourist book, the seal is located at the Meteorological station of Musala peak (the peak is part of the 100 national tourist sites of Bulgaria). The most important thing about climbing a peak, no matter which one, is the clothing and shoes. Before you choose to go on one of the routes leading to Musala peak, don’t forget to use professional shoes and comfortable clothes. No matter how warm it is at the foot of the mountain, the temperatures are much lower at the top, so in your backpack you have to have a warm jacket with a hood and a long sleeve blouse. Mountain sticks will be very useful because they will guarantee you greater stability during the climbing. Wear hat and sunglasses and don’t forget before you start climbing to use sun protection cream. We say this because in the mountains the sun and wind are stronger, and when they „act” combined together, if you haven’t taken precautions, when you get home you will find out that your face is burned. Besides the warm clothes, don’t forget to put in your backpack sandwiches, bottle of water and at least one – two energy blocks. We advise you to wear sandwiches, not a picnic basket, because your climbing will be hard, and the food in the backpack will be heavy and may bring you discomfort. Charge your phone, write down the phone of the rescue service (just in case). If you don’t feel confident to go on this adventure alone, it is better to join a guided tour group to Musala peak with a guide. Such groups are organized on a regular basis, you just need to search information where you can sign up. It is important to check the weather forecast a few days before leaving, because the weather is often quite variable in the mountain, and it would be very unpleasant if it rains during the climbing. Climbing Musala peak will bring you many new emotions, also it will make you look with wide-opened eyes at the world, as it will give you confidence that if you really want you can conquer any peak, whether a mountain peak or a peak in the carrier and life. If you are in Bansko now and you have time to conquer the highest peak in the Balkans, dont miss that chance.